"Some people like to eat Buffalo Wings accompanied by celery stalks and blue cheese dressing because it dampens the pain. These people are wimps." 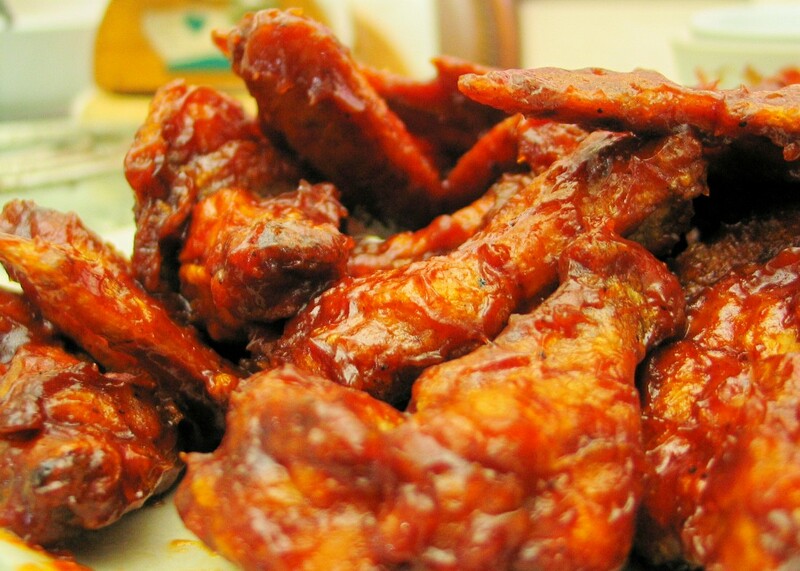 Check out Jake's Famous Buffalo Wing Recipe, here. While I do not claim to be a devotee of nuclear buffalo wings, I do prefer mine on the spicy side. As for crispiness, of course I want my Buffalo Wings crispy. This is tricky considering that Buffalo Wings are doused with sauce after being fried, which should cancel out crispiness if you do not have your technique down pat. That is why I prefer my Buffalo Wings breaded before being fried because the breading seems to hold the crispiness better. Take note though that classic Buffalo Wings, as in Jake's recipe, are not breaded before being fried. My brother's recipe however, entails breading and they are excellent Buffalo Wings. I guess it is just a matter of preference. 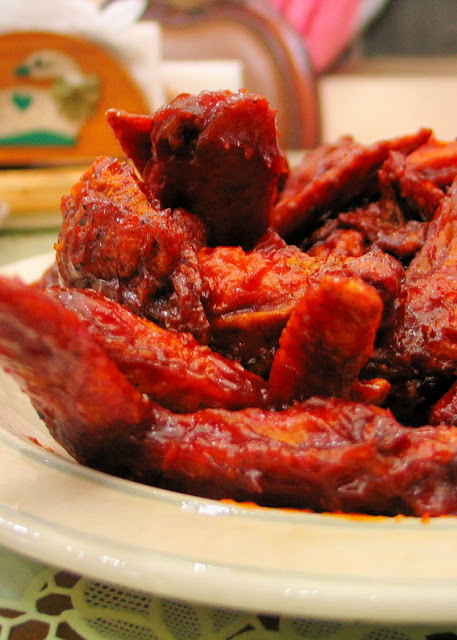 If you are not one who is adept in the kitchen and you are not fortunate enough to have a brother who will make them for you whenever you get that sudden craving for crispy, spicy, and saucy wings, I recommend going to the nearest Flaming Wings restaurant. They have branches in BF Paranaque, Taft Avenue in Pasay City, and Katipunan Avenue in Quezon City. Flaming Wings' Buffalo Wings come in different flavors and served with your choice of dressing. My flavor of choice- Jamaican Jerk. I must confess though, that I do like some blue cheese dressing with my Buffalo Wings.